“Move over Obamacare. Mid-term elections will also be referendums on ObamaCore. Political opponents of the Common Core have lost five big votes in the Legislature. The debate now seems to have entered an entirely new stage. UPDATE 6/17/14: My wife thought the tone I’d taken this morning was a “bit sharp,” as she put it. And, really, I agree. I apologize for the intemperate outbreak. That’s just the opposite of how I think this debate should be carried on. So I’ve edited this post to point out what I think are inaccurate assertions about the Common Core, but do it without quite as much attitude. 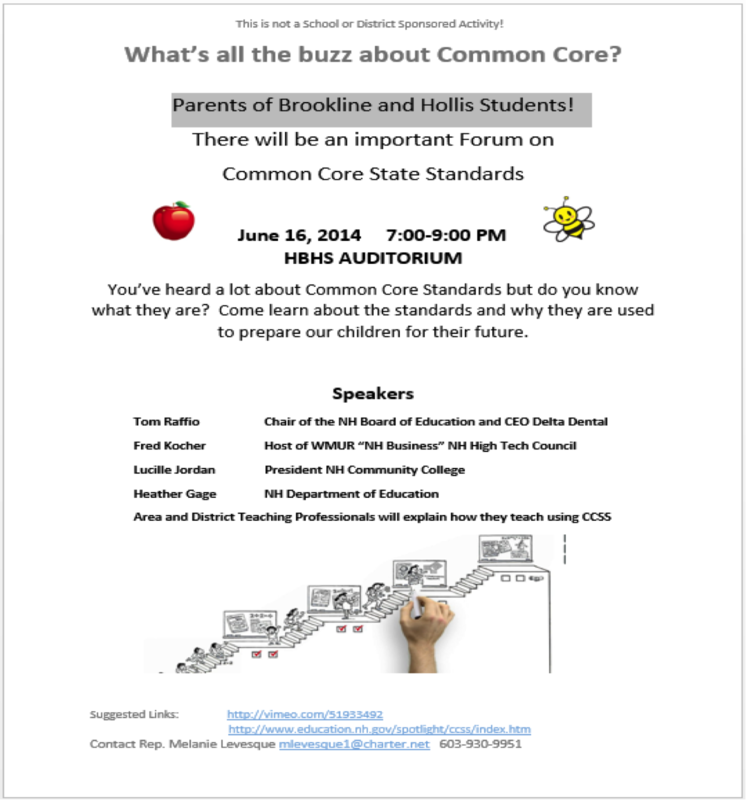 By ANHPE in Common Core on June 17, 2014 . “One thing I learned in my house a long time ago was if Mommy’s not happy, no one is happy. If Daddy’s not happy — who cares?,” said Graf, a Long island Republican who has introduced a bill that would scrap the implementation of the Common Core altogether. A keynote speaker was Emerita Sandra Stotsky, a professor emeritus at the University of Arkansas who served on the national Common Core Validation Committee in 2009 and 2010, but refused to endorse the standards. She has become an outspoken critic of the standards who feels that teachers, state legislators and school board members were absent from the development of the Common Core. Several senators and assembly members joined Stotsky and advocates from the group Stop Common Core in New York State in decrying the state’s implementation, arguing that it takes the power from local school boards to control education reform. Graf’s fellow Long Islander, Sen. Lee Zeldin, echoed another complaint made by Stotsky about the lack of coordination between state education officials and teachers. Zeldin, whi is running for Congress, said this has created an environment where teachers teach to the test, and that there was enough time remaining to address the problem before the end of the legislative session. Assembly members Ed Ra, Phil Palmesano, David DiPietro and Claudia Tenney — Republicans all — also spoke at the press conference. In this year’s state budget negotiations, Gov. Andrew Cuomo and lawmakers agreed on certain delays to the implementation of Common Core, including their force in determining student promotions and evaluations for teachers and principals. Glen Dalgleish and his wife Yvonne Gasperino, from Port Chester, heard about Common Core about a year ago when they read that classical literature would be shortchanged by the standards. They helped start the Facebook group for Stop Common Core in New York State, which they claimed had 13,000 members and active representation in all 62 counties. Dalgleish said issue will not go away with the end of the session. And with elections looming, the organization’s plan is to get as many people as possible registered to vote, and make them aware of candidates who oppose the Common Core. Many of the rally participants headed out to meetings with lawmakers. Many New Yorkers – mommies, daddies, teachers, administrators and voters – who are concerned about the way the State has implemented the Common Core. And they’re right.